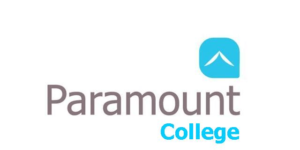 Paramount College, part of the Paramount Professionals Global Group, provides Education and Training Courses to both individuals and companies. We deliver QQI accredited programmes and we have significant experience and expertise in the design and delivery of multiple courses providing a one stop shop for all your training needs. Our Micro Learning Programmes provide education and training delivered in bite-size flexible modules to meet the specific needs of both individuals and businesses. Individuals can choose from a variety of courses providing practical education and skills highly sought after by today’s employers. On successful completion of many of our courses you will receive a recognised qualification to develop your career or get that promotion. Programmes and courses are delivered full time, part time, blended and online; suitable for individual learners and in company training. Programmes usually have progression routes to Level 7 and beyond in other Colleges. Learners can also transfer to other programmes at the same level in Paramount College.